Since the mid-1990s the United Nations and other multilateral organizations have been entrusted with exceptional authority for the administration of war-torn and strife-ridden territories. In Bosnia and Herzegovina, Eastern Slavonia, Kosovo, and East Timor these organizations have assumed responsibility for governance to a degree unprecedented in recent history. These initiatives represent some of the boldest experiments in the management and settlement ofintra-state conflict ever attempted by third parties. 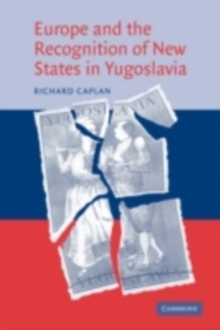 This book is a study of recent experiences in the international administration of war-torn territories. 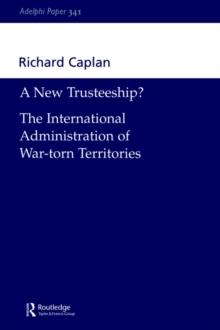 It examines the nature of these operations - their mandates, structures, and powers - and distinguishes them from kindred historical and contemporary experiences of peacekeeping, trusteeship, and military occupation. It analyses and assesses the effectiveness of international administrations and discusses, in thematic fashion, the key operational and political challenges that arise in thecontext of these experiences. It also reflects on the policy implications of these experiences, recommending reforms or new approaches to the challenge posed by localized anarchy in a global context. 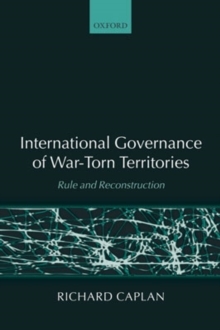 It argues that, despite many of the problems arising from both the design and implementation ofinternational administrations, international administration has generally made a positive contribution to the mitigation of conflict in the territories where they have been established, thus removing or reducing a threat to peace and helping to improve the lives of the vast majority of the territories' inhabitants. 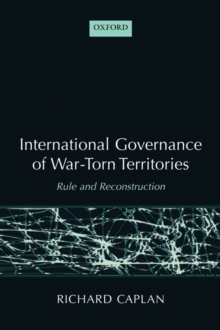 This major new work from a leading scholar provides the first comprehensive treatment of recent attempts at international governance of war-torn territories, and will be essential reading for anyone interested in peace-keeping operations and international administration.